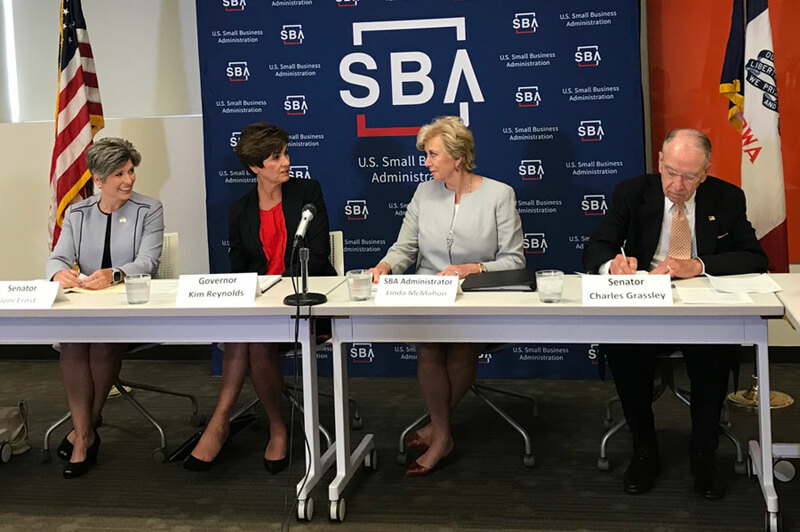 Governor Reynolds and SBA director Linda McMahon. The head of the U.S. Small Business Administration was in Iowa today for a roundtable discussion with women business owners. 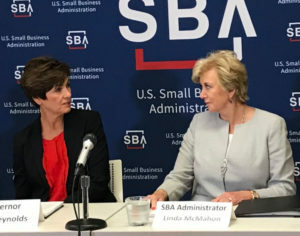 The Iowans told Linda McMahon they’ve purchased new equipment, increased advertising and one plans to reinstate her company’s bonus program because of federal tax cuts. A report released Thursday shows no overall growth in hourly wages in June of this year compared to June of last year. McMahon said she doesn’t dispute that statistic, but it doesn’t match what she’s hearing. Senator Ernst. Governor Reynolds, McMahon and Senator Grassley. Other factors point to a “really healthy” economy where wages will start to rise, according to McMahon. “We will see competition in the marketplace for workers and wages will go up as a result of the supply and demand issue…because there are fewer employees out there looking for work,” McMahon said. A woman who owns a business in Pella told McMahon she’s hiring people from Missouri and Minnesota who keep their homes there, but commute for the work-week. McMahon says encouraging internships and especially apprenticeships will help Iowa students and Iowa businesses fill jobs here. 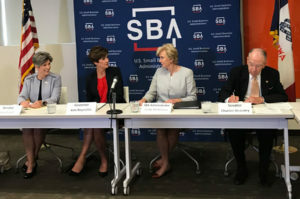 McMahon has visited 40 states since she took over as the leader of the Small Business Administration in early 2017.